CAROLINELEAVITTVILLE: Art, betrayal, marriage and prestige: Jill Bialosky talks about her extraordinary new novel, THE PRIZE, and so much more. 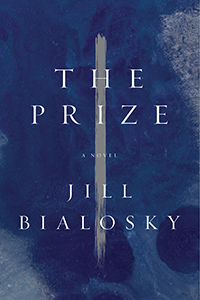 Art, betrayal, marriage and prestige: Jill Bialosky talks about her extraordinary new novel, THE PRIZE, and so much more. Jill Bialosky is one of these amazing Renaissance writers. 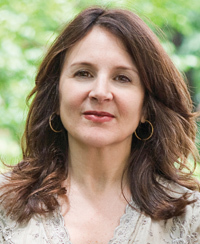 She's written poetry collections: Subterranean, The Players and The End of Desire, and wondrous novels, House Under Snow and The Life Room and she has co-edited, with Helen Schulman, the anthology Wanting A Child, and a blazingly moving memoir, History of a Suicide. 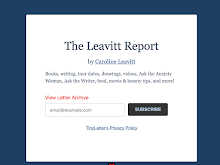 Her poems and essays appear in The New Yorker, O Magazine, Paris Review, The Nation, The New Republic, Kenyon Review, American Poetry Review among other publications. 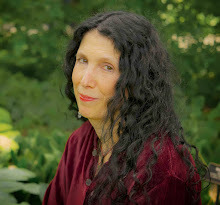 She's racked up numerous awards, including the Elliot Coleman Award in Poetry. She is currently an editor at W. W. Norton & Company, and I'm so thrilled to be hosting her here for her novel The Prize, which is already collecting raves. Thank you so, so much, Jill. There's always a reason for writing a novel. What sparked this one? After I finished my memoir History of a Suicide I longed to dive into the world of fiction. I write in order to reflect upon ideas and conundrums that interest me. The Prize represents years of my thinking about art and its intersection with commerce and also ideas about integrity and betrayal, desire and marriage (what else is there?!). My protagonist is a middle-aged art dealer, son of a Romantics scholar, who still retains his idealism. He’s thrust into a world of egotistical and powerful artists and I wanted to see how his idealism would fare in this shark pit. At the same time, he is a family man in a long marriage with one young daughter. I was also interested in exploring a conventional marriage, against a marriage between two successful artists. The Prize is at its core a novel about the cost of our silences, betrayals, and the choices we make. Was the writing of this novel different from books you’ve written before? How so? What surprised you in the writing? Each novel presents its own challenges. And each time it is like starting over again. You don’t really know if a novel is going to work until you are pretty far into it. You have to suspend doubts and see if the characters you’ve created are complex enough and the situations you’ve put them in potent enough to withstand not only your own interest but also a reader’s interest. It takes a tremendous leap of faith. I try not to think too deeply about the process as I’m writing otherwise I’d be daunted from the start. My characters and their concerns require heat and urgency to sustain my attention. I have no idea in the end how it all works, but as Agnes Murray, one of my creations says about her own creative process: “It’s amazing how much isolation goes into each painting. All the doubts and second-guessing. And then voila`, something happens and it paints itself.” Writing a novel is a little like this. How do you know so much about the art world? What was your research like? My love of art and fascination with artists began at a young age beginning perhaps with my first visit to the Cleveland Museum of Art in elementary school. I was dazzled by the quietude in the galleries and how each room opened a new window into a particular moment in history. I am not an art expert. I never studied art or art history in college, but my deep admiration for artists and their work infuses The Prize. Most of what I know about the contemporary art world is from osmosis, going to galleries and art shows and reading about artists and their process and being an observer and a sentient being. I read interviews with art dealers and gallerists at prominent galleries and spoke with art dealers to learn a something about the actual business. Some of my friends are artists and I visited their studios and learned about their process. But as you know as a fiction writer, I took liberties. The novel isn’t meant to be read as nonfiction or to necessarily be an accurate portrayal of the art world. “Art must capture what we’re afraid of most,” says Agnes, in the novel. I absolutely agree, so I want to know, how afraid were you writing this novel? I love this question. My protagonist is an idealist and the novel concerns his loss of innocence. He genuinely loves art and is moved and transported by it and believes in its ability to transform and to shape our understanding of history and ourselves and finds himself in the business of dealing with artists and their egos and managing their careers. These two enterprises are often at odds. In order to investigate how true he’ll remain to his ideals I had to stack the deck against him. The novel as we’ve noted is also about marriage and desire and about the ways in which one’s professional life bleeds into one’s personal life. There are a series of betrayals that occur and that threaten my character. It was terrifying to allow him to go close to the edge and not know how he would fare. I do believe that art should capture what we are afraid of most and with every project, whether a poem, or prose, I challenge myself to be braver and to take more emotional risks. This is where the urgency and intimacy I’m drawn to as a reader comes from. What is so profound about this novel is its investigation of ambition in both love and in the arts, and the price we sometimes have to pay for success in either one. I’d love to hear your thoughts on this. Thank you. I suppose I have a complicated relationship with ambition and this may have fueled the novel. I began writing as a poet when I was eighteen. I studied poetry in graduate school first at Johns Hopkins Writing Seminars and then earned an M.F.A. from the Iowa Writer’s Workshop. At Iowa it was clear from day one those who were there out of love and necessity and those who had grander ideas about where there writing would take them. I grew up in a modest home in Cleveland, Ohio. In graduate school, particularly at the Iowa workshop, the jockeying that went on for position was an eye opener. Part of me was appalled by it and another part envious. I’m fascinated by operators and by hutzpah. I’m ambitious but I don’t have that particular gene and when I see it in action I have a visceral response. I played with this tension in my creation of my characters and the world they operated within in The Prize. As for ambition in love, I think I may have more novels in me (I hope so) because in The Prize I have not exhausted my exploration of love and marriage and the costs of our decisions. The choices we make when we are young may not be the right ones for us when we are older and I this is the challenge of a long marriage. This is the situation I put my protagonist in. Additionally, it was intriguing to create a marriage between two artists who are incredibly ambitious and to see how it would fare. I’m fascinated by competition and envy among partners and having two artists vying for the same prize (and I mean this metaphorically as well) in one household is almost biblical. I like creating these points of volatility and seeing how it will all unfold. This extraordinary novel talks a lot about how art can flourish or suffer in a commercial culture. Could you talk about this, please? This is a challenging question and I’m not sure I have any sound answers. Artists may press up against a commercial culture to gain traction and create authentic work as a result of it or the opposite may happen. Alternatively, artists may capitalize on trends and fashion and dilute their own ideals of excellence. The English artist, Damien Hirst, thought to be one of the shrewdest marketers of his art said, “money complicates everything. I have a genuine belief that art is a more powerful currency than money—that’s the romantic feeling an artist has. But you start to having this sneaking feeling that money is more powerful.” I think that says it in a nutshell! This year I published two books. A volume of poems called The Players came out in March from Knopf and now The Prize. Both of these projects were five or more years in the making and represented years of my thinking and emotional investment. I’m pretty depleted. I’m not sure where I’m headed next. I think that about sums it up! Thank you, Caroline for you rigorous and engaging questions.